1.Win XP Operating system, click and download “For Win Xp"
2. After driver downloading completed and unpack the installation package, you need to install the driver document manually. (At this time, you need to put the updatable R-MINI thin film unlock card’s circuit board into R-SIM updating adapter card and smooth it. Insert it slowly and smoothly into the updater dongle’s card slot. 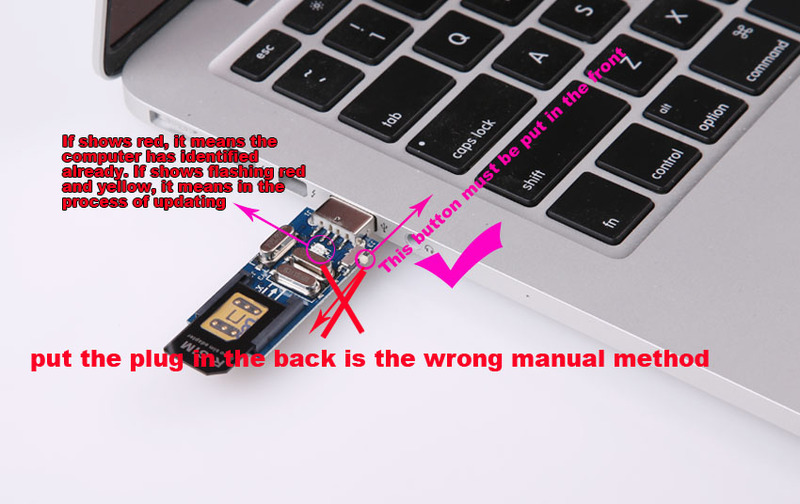 Then, insert the dongle to the corresponding computer’s USB socket to make your computer identify) If you choose to install the driver automatically, please wait patiently for a few minutes until there shows driver installing on the bottom right corner. After installation, please move your mouse to your PC’s “Computer” icon, right-click, “Attribute”-“Device Manager”-“Port”-“ProlificUSB-to-SerialCommPort” to check if installed successfully. If not successful, will show question mark or exclamation mark (?/! ), you have to reinstall the driver by right-clicking “ProlificUSB-to-SerialCommPort”. After installation completed, reboot the computer and done. If not clear about the manual procedure, we advise you look for help to the computer technician. 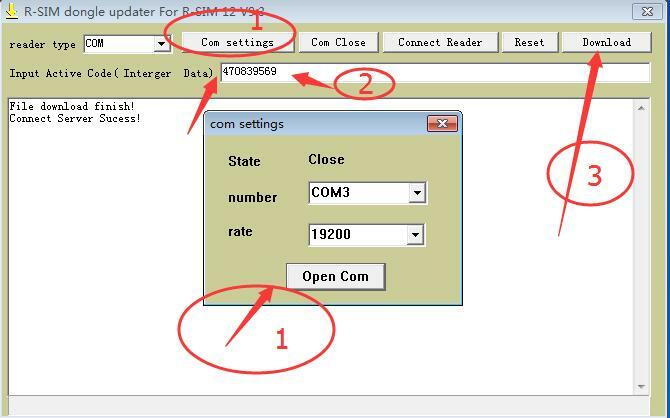 Choose 3 in com settings ’s number, rate: 19200, then click “connect Reader”, input R-SIM MINI updating activation code in “Input Active Code”( one card, only one free code), click “Download”, and it will show the updating progress. After it shows updating completed, it means the program has already been updated to the newest version. A: Check if the ON/OFF key is in the front, the switch must be near to the direction of the USB socket. B: Whether the indicator light shows red or not, if red, means contact the computer normally; if flash between yellow and red, means in the progress of updating. 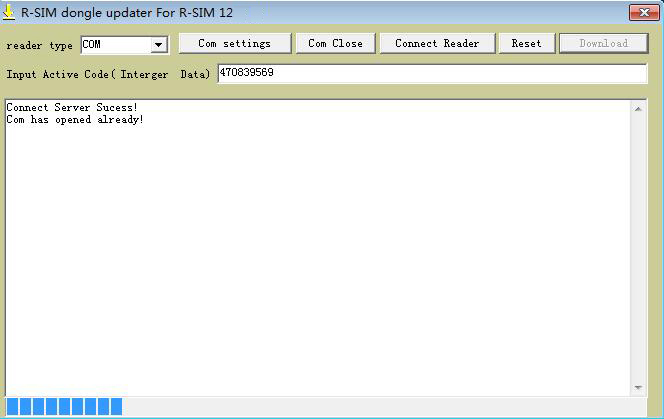 C: heck whether R-SIM MINI has contacted the 6 contactors on the updater (you can check if R-SIM MINI has touched tightly into the adapter card, use your hand to move the contactor’s location and press on the upper end of adapter card to contact.) If checked repeatedly and confirm not working, please contact the reseller to ensure whether it’s genuine quality goods. (the dongle in the market may not be usable, when tested, there’s high risk of burning the unlock card’s chip). D: Check whether the computer has completed driving installation, if it’s relevant to computer driver installation problem, we advise you contact the computer technician for help.